My name is Fred Ford. I live in Bellport, NY with my wife Dorothy and daughter Lila Rose. My love of writing began in elementary school. A poem I wrote in the 3rd grade, titled “Curly Bear” was made into a record! Unfortunately, the record was published in the mid-1960’s at a time The Beatles were around, so “Curly Bear” got trampled by Rocky Raccoon in the charts! Nevertheless, I had caught the writing fever! From 1986 to 1992, I contributed humorous articles (well, that’s actually a matter of opinion) to “The Union News”, a quarterly publication of the now-defunct Union Savings Bank, my former employer. While my articles earned me no awards, the occasional compliments were enough to fuel my writing passion. During that same time period, I tried my hand at stand-up comedy, writing my own material. The highlight of my comedy career was opening for Gabe Kaplan, star of the 1970’s sitcom “Welcome Back Kotter.” The stand-up comedy experience was both humbling and exhilarating. The roaring laughter of an audience one night could turn to the croak of a cricket the next. My experience taught me that comedy and writing—indeed, life itself—was never intended to be easy. In 1995, I read As a Man Thinketh by James Allen, and was instantly addicted to self-help books. Since that time, I have devoured hundreds of self-help, New Age, spiritual, and metaphysical books from a variety of authors spanning a time period from the late 1880s-early 1900s to the present. 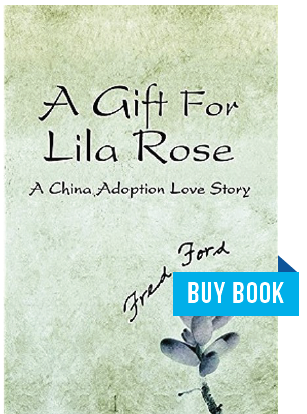 The books opened my mind to fresh possibilities about the Powers of creativity and in 2007, finally overcoming doubt, fear, and Resistance (the arch-enemy of every writer), I wrote my first book A Gift for Lila Rose, a China adoption memoir. The process of writing and publishing that first book liberated me. My tepid dabbling as a writer morphed into a magnificent obsession—where it belonged! My continuous study of self-help books inspired me to complete training in 2008 to become a LifeSuccess Consultant. During my training, I was encouraged to write my own book. I resisted simply because I felt the self-help book market was oversaturated and I didn’t feel I could contribute anything original or fresh. Instead, I created a daily inspirational newsletter called Our Daily Fred, which contains an excerpt from one of the books I’ve read along with my thoughts—my “freditorial”—on the excerpt. In addition to Our Daily Fred, I answered the call of fellow LifeSuccess Consultant Jeremy Brown and became a ghost-writer for his self-publishing company. In the capacity of ghost-writer, I wrote three books while ideas for future books began to hatch. As a practitioner of visualization—my niche in the self-improvement field—I was visualizing one afternoon when the title to my first novel came to me. In my visualization, I was on my perfect beach at the shoreline, when suddenly a bottle washed ashore. The bottle contained a note, which I managed to force from the bottle. 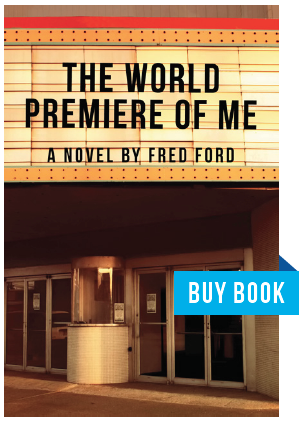 I unfurled the note to see it contained five words: The World Premiere of Me. I was stunned! My visualization abruptly ended, my eyes shot open, and I thought to myself: THAT is a great title for a book! Eight years later, The World Premiere of Me is my first published novel. And yes, a major theme of the book is visualization! As my new on-line friend, I hope you will take up my offer to subscribe to my FREE newsetter Our Daily Fred. And if you do, I hope you will find some value, inspiration, and/or entertainment in the content. After all, what are Freds Ford? Thanks for taking time to visit my website. Be GREAT today!